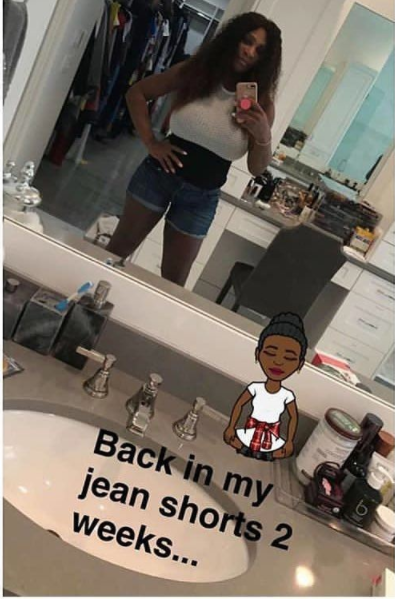 Serena Williams shows off amazing post baby bod two weeks after giving birth! The Tennis star showed of her post baby bod just two weeks after welcoming her daughter. The struggle to flaunt a post baby bod is real with celebs.But for Serena we shouldn't be surprised she has snapped back so fast because she's an athlete who was very very fit before getting pregnant,and she dint really add much in pregnancy. And how adorable are these new photos of baby Alexis Olympia? !